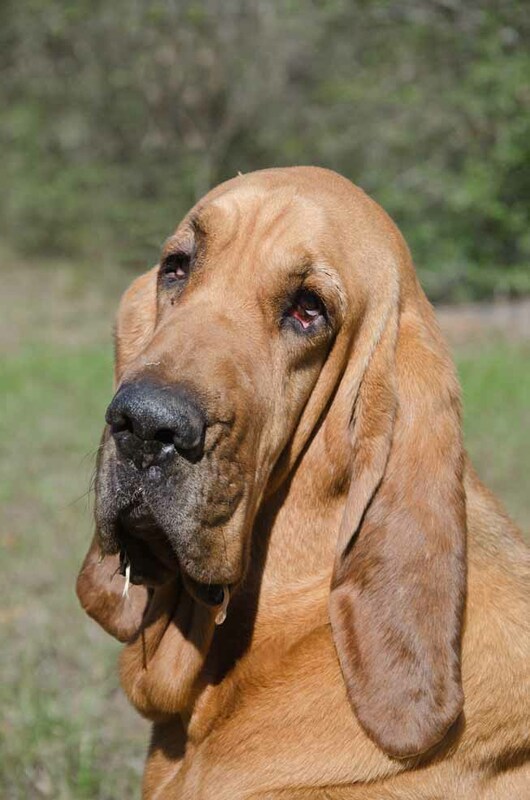 So now it’s a bloodhound has come to the ranch for help. There he was curled up in the rain, shaking, and so I took him to the other place where he could sleep under the house. He has a friend, a little brown dog who came looking for him back at the ranch for two days but wouldn’t let us get close. And then the next day it got freezing cold so I let Bubba inside. He’s quit well behaved for someone who is more than twice as big as Bitsy and walks around with drool dripping off his jowls. His water dish is pretty much sludge at the end of the day. I’d say he is about four feet long. He found a pillow three feet square and curled up for the night and never bothered anything. I found him in the morning overlapping on all sides but quite happy. Bitsy likes him. Today I watched as they encountered the neighbor pitbulls. Bitsy always got along until this white male moved in next door, and now they try to fight through the chain link fence, which I don’t like, both because I don’t want a fighting dog and because I keep thinking one or the other might get stuck in the fence and lose a nose. Well never mind, with Bubba in charge. He’s not only more than twice as big as Bitsy, he’s twice as big as anything around except the neighbor’s Great Dane, and he disdains to fight. Not only can he not be bothered, but the white dog backs off from him, even though there is a fence between and Bubba is obviously smiling. Bitsy is standing back letting him handle the situation. So if you think dogs don’t think, you would be wrong, and I’m glad for his steadying influence over Bitsy. And horses, too. With the drought there is no pasturage at all, and now with cold weather I’ve been going over to the ranch twice a day to put out some hay. Old Mahonia needs more than hay, and so usually I also give a bite of alfalfa. Now everything is shipped in and the alfalfa is hard to get, so I fed some other stuff for the extra snack, and Mahonia got a little diarrhea and the next day I drove in, put down the grass hay, and left. Then it got cold and Mahonia came to be blanketed, and I fussed over her a bit and wondered if there was something wrong. She started to walk away a couple of times, but she seemed a little odd and then came back and snuffled in my face, and walked off again. I watched closely and couldn’t see anything wrong, so I opened the car door. Bitsy jumped in the car and Mahonia came back the third time, snuffled in my face and then reached out her nose, slammed the car door shut, and walked off to the feed shed where she normally gets her alfalfa hay. So if you think animals don’t think – and feel – and get hungry and wet and cold, and mourn for those they love and trust when you dump them out because you don’t want them anymore. You’re wrong, and may it be upon your head the suffering you cause.